Humbuckers are what gives us those warm, thick and rich sounds associated with blues, heavy rock, and even jazz. While jazz players favor them for their warmth, many genres of rock use this type of pickup for the punch they give out. If you’ve been playing with a single coil for a while, but run into problems such as unwanted feedback, low output or just lack of oomph; fitting these pickups (or ‘pups’ as we’ll refer to them) might be the solution you’re looking for. They’re often found on Gibson guitars as well as PRS, Jackson and Ibanez instruments, and you can sometimes find them in the bridge position on Strats or Telecasters, alongside single coil pickups. They’re made with the same components as single coils (magnetic poles wrapped in wire). The difference is they are, in fact, two pickups joined together but wired slightly out of sync with each other, which works to eliminate any unwanted hum or feedback – hence the name (they’re also referred to as ‘double coils’ for this reason). They often have a massive output – particularly when the magnets are ceramic – which makes them suited to loud playing that also requires articulacy. 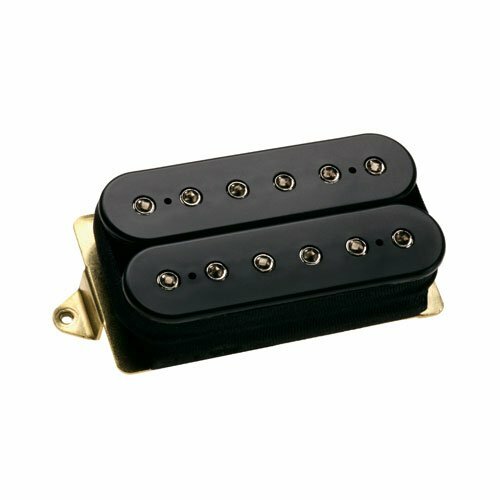 While you’re considering these pickups, it’s also worth considering a hybrid pickup called the P90, a hybrid humbucker/single coil option that gives you more attack and articulation. You might already have humbuckers on your guitar, and wonder what the point would be in swapping them for more expensive ones. However, when it comes to cutting costs, especially on budget models, guitar manufacturers opt for cheap pickups. There’s not necessarily anything wrong with them, but as your ear becomes increasingly tuned to recognize fine sounds, you’ll start noticing the lack of quality. New pickups can vastly improve your sound, at a fraction of the cost of a new guitar. You have a choice between active and passive pickups. Most pups have passive circuitry, meaning that no battery is required as the magnets produce electric currents in the coils and generally creating a medium output. If you’re looking for a classic, single-coil tone, passive circuitry is the obvious choice. Active pickups have a far higher output, making them better suited to shred-guitar or other heavy genres. They require batteries, which can be a drawback to some people, and they also have less of a dynamic range than those with passive circuitry. Alnico 2, Alnico 5 or Ceramic? ‘Alnico’ magnets made of aluminum, nickel, and cobalt were common in guitars in the 50s and 60s, offering a classic sound. These are still popular today amongst those seeking a vintage, warm tone. They’re available as Alnico 2 or Alnico 5 magnets. 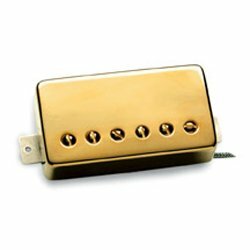 Alnico 2s are the warmest, most vintage sounding pickups, whereas Alnico 5s have a higher output and extra treble, for clarity of sound. 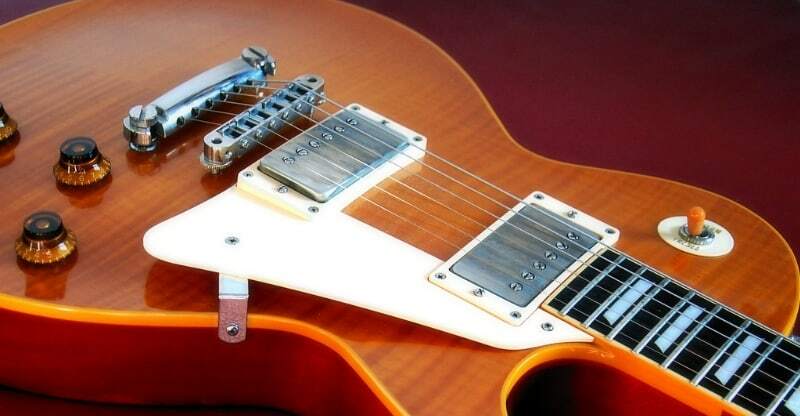 Ceramic pickups have also been popular since the ’70s. They are known for their beefy tone, giving them clarity and a strong sound like Alnico 5s. Ceramic magnets are cheaper than Alnico magnets, making them an attractive option to those on a budget. You can get your pickups either individually or in sets. A benefit to buying a set is that there will be a consistent tone and you’ll have an instantly useable combination of pickups. However, many guitarists choose to purchase individual, different pickups to give them access to a bunch of different tones. When combining pickups, you may have to adjust your volume when switching between them if the outputs are far apart, but this drawback is small when compared to the huge benefits of a versatile guitar. If you buy something that’s labeled as being the right fit for your guitar, it’s easy to get the right product. However, if you aren’t sure, there are some things to look out for. If you play a Fender or a guitar with a Floyd Rose, ‘F Spacing’ humbuckers are the ones that will fit your guitar. These have a slightly wider string spacing than those suited for Gibsons and other guitars. Some pups have names like ‘Trembucker,’ to indicate that they’re suitable for use with a guitar with a tremolo. If you play a Les Paul (or one of the many Les Paul Copies out there), look for something without any of these special labels. The Gibson 57 Classic is a passive bridge pickup, designed to deliver rich, vintage sounds. It uses an Alnico 2 magnet which has a medium output, to enable natural control over dynamics and warm tones. The nickel cover also adds warmth to the tone. They’re made with the same specs as the original Gibson PAFs, giving them authenticity while having the benefits of modern production. These pups aren’t cheap, but they’re a fraction of the price of a genuine vintage Gibson guitar. This pup will be best suited to those who are hunting after classic sounds of the 50s and 60s. It looks vintage, too so the only thing making it modern is the higher quality of the more recent production. It will be less suited to those who are looking for something to play heavy metal or jazz, as its medium output focuses on warmth rather than clarity. Durable, nickel cover adds to the vintage look and sound. Alnico 2 magnet with a medium output give them a vintage tone and allows natural dynamic variation. Wax potted to remove the risk of microphonic feedback. Vintage looks might not suit everyone. Medium output won’t suit heavier styles of playing. 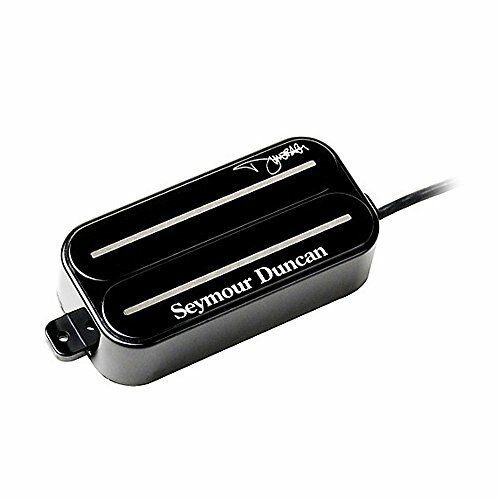 The Seymour Duncan SH-2N is designed to be fitted in the neck position. There are Alnico 5 magnets, giving it a medium-high output that focuses on the treble, enabling a clear, crisp sound. It works particularly well with semi-hollow guitars as it picks up the natural tones of the woods. These are a little cheaper than the Gibsons above, but they’re for a different style of music. The smooth, full and bright tones they create are perfect for jazz musicians as well as country, funk and rock players. Dave Mustaine from Megadeth even uses one of these in his neck position! The SH-2N can be split into two single-coils, making it capable of a wide range of tones and, like most pickups, it’s passive so won’t need a battery to be powered. The SH-2N is best suited to jazz musicians who want articulacy in their clean runs. This clarity will also delight country, blues and rock players who focus in intricate lead playing. It will be less suited to those hunting for a vintage, warm tone with a low/medium output. Alnico 5 bar magnets enable articulation and crisp, clear sound. Available with a nickel or gold plated cover. For longevity and quality of tone. Works particularly well with semi-hollow guitars. There’s more of a treble response than a bass response, so it’s not the most versatile pickup. It’s more suited to semi-hollow bodies than solid bodies (although it works OK with solid bodies). 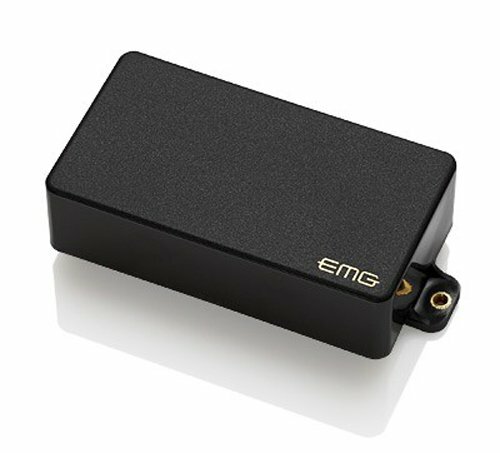 The EMG 85 is an active pickup that’s exceptionally versatile as well as easy to install. It features a solderless installation, meaning that you can do it at home in no time, and it can be fitted in the neck or bridge position. It is most commonly used in the neck position, though fitted close to the bridge can produce soulful, smooth sounds. With a huge output, it’s well suited to loud playing but also offers crispness and clarity. It’s similarly priced to the SH-2N, but is more suited to loud, distorted playing than that pickup, making it a more appropriate choice for heavy rock players. This is the perfect pickup for heavy players, particularly those who play lead guitar that requires crisp and clear articulation. It will be less suited to those looking for vintage tones. Works in the bridge or neck position, making it extremely versatile. Alnico 5 magnets give your lead playing crispness and clarity. The solderless installation makes it easy to fit it yourself. The meaty output can reduce your dynamic control. Because it works in multiple positions, it lacks the fine tuning of some more specific pickups. They’re active, so need a battery to work. The appropriately named ‘Dimebucker’ is a passive humbucker that aims to make you sound like Dimebag. The SH13 is designed to be used in the bridge position and made to the exact spec that Dimebag himself used. There’s a huge output, which is well suited to loud players and the magnet is powerful and ceramic. There are stainless steel blades, making the pickups well balanced even when bending the strings (or doing ‘dive bombs’) and it’s suitable for both guitars with tremolos and those without. It’s passive so that you won’t need any batteries and it’s similarly priced to the Gibson 57 classic. Of course, this is suitable for Pantera / Damageplan and other thrash metal fans. It would also suit players who play heavy lead guitar in other genres and require an even balance as they perform lots of bends. It will be less suited to jazz players, or those looking for a warm, vintage tone. Powerful, ceramic magnet gives you a high output that’s great for all things LOUD. Stainless steel blades keep the output balanced as you bend the strings. Comes with cable and mounting ring. You have limited control over dynamics. 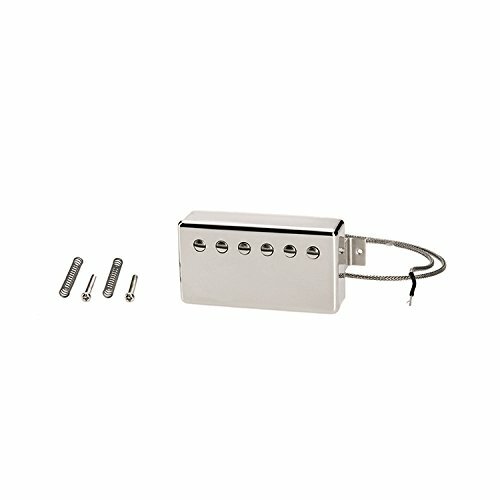 The DiMarzio DP100 is a passive, bridge position pickup. It’s similar to the Dimebucker, but a little cheaper and without the Dimebag-specific specs. It has a ceramic magnet, giving it a huge output that is well suited to heavier genres and it focuses on bassier frequencies just slightly more than mid and treble. This gives it an extra beefiness. There’s the option to split the coils to achieve a single-coil tone, but this doesn’t make you immune to the hum of single-coils. These pickups were designed to drive an amp into overdrive, and they certainly make your guitar play loud. The DP100 will suit heavier players who need clarity in their lead, distorted playing. Those who also play a lot of clean guitar might not get on as well with it, as the output is so high it was designed to overdrive an amp. Ceramic magnet and massive, meaty tone that’s great for loud, distorted playing. Emphasis on low-end frequencies gives it a booming quality. Four conductor wiring gives you the option to split the coils. It’s less suited to clean sounds and unsuitable for semi-hollow guitars. You will have limited control over dynamics. This budget-friendly option is perfect for those who are hesitant to spend much money on such a small component, particularly if the guitar itself is already inexpensive. It uses solid nickel magnets which work similarly to Alnico magnets, giving it a warm, vintage tone and it comes as a set so that you can replace both of your pups. The bridge pickup has a higher output than the neck. Both of them are wax potted, to reduce the risk of microphonic feedback. The Kmise double coils are suited to Les Paul style guitars, though they’ll fit most guitars with standard string spacing. They’re passive, so you won’t need a battery to get them going. 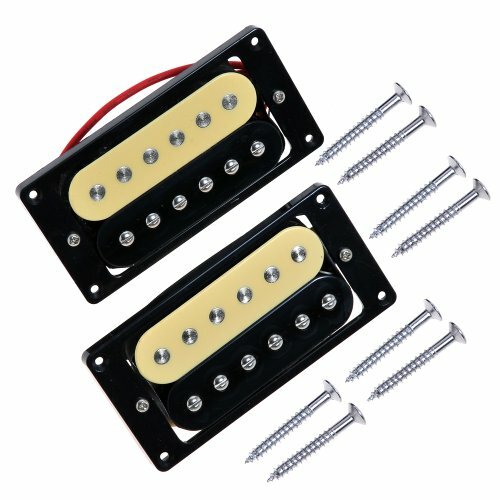 Those who have a cheap Les Paul copy can breathe some new life into them with this cheap pair of pups. If you have a more expensive guitar, you might wish to upgrade a little further than these. Budget-friendly set includes neck and bridge pickups. Designed to reduce microphonic feedback. Solid nickel magnets work similarly to Alnico magnets. The sound is a little flat compared to higher end pups. Manufacturers’ poor quality control can lead to receiving faulty products. To finish our list, we’ve added a pup that’s best suited to semi-acoustic guitars. The Benedetto S-6 is designed to fit archtop, hollow-bodied guitars to allow them electric capabilities, without the infamous hum. These pups work to bring out what’s already there in the guitar, tonally mirroring the qualities of the woods and producing a balanced, warm and rich sound. There’s an alnico five magnet, giving it a high output with a crisp, clean tone and this product is well suited to both six string and seven string semi-acoustic guitars. It doesn’t need to be soldered, like electric guitar replacement pups do, but simply mounted to the neck. 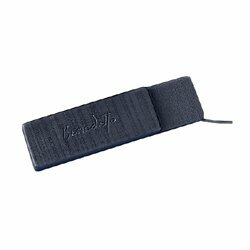 This product will suit those who already have a beautiful semi-acoustic guitar, but struggle with feedback when they plug it in. This will eliminate that problem, while not losing any of your tone. It will be less suited to those looking to improve the overall sound of their instrument. They bring out what’s already there in an acoustic guitar, reflecting the woods and magnifying their natural qualities. Alnico 5 bar magnet gives it a crisp, clean tone. Passive pickup makes it easy to control dynamics. They’re best suited to guitars that already sound good when unplugged. It might not always stay in place. As you can see, the pup(s) you choose will largely depend on the guitar and style(s) you play. If you’re looking for something versatile, the EMG 85 or Seymour Duncan SH-2N are your best choices. Both of these can handle a variety of genres and have a full fat, meaty tone but still crisp and clear. The EMG 85 is active, furthering the high output benefits and it’s also suited to both the bridge and neck. The SH-2N is more suited to the neck, but despite its ‘Jazz’ reputation, is well suited to any genre that requires brightness and articulation. If a vintage, 50s/60s sound is more what you’re after, the Gibson 57 Classic will bring it to you. It’s made to the same specifications as a vintage humbucker, with Alnico 2 magnets offering a warm, smooth sound. If you play a semi-acoustic, the Benedetto S-6 will delight you. It’s designed to mirror the tonal qualities already in the guitar’s woods and in mounted to the neck, meaning you don’t need to make alterations to your beautiful instrument. Heavy metal players, it might be difficult to choose between the Seymour Duncan ‘Dimebucker’ and the Dimarzio DP100. Both have a high output, powerful ceramic magnets and the option to switch to single-coil. However, the DP100 is a little chunkier sounding, and the ‘Dimebucker’ offers extra benefits to ‘bendy’ players with its stainless steel blades. Whichever one you go for, we hope that our reviews have helped you to find the best double-coil for you and your guitar. Rock on! Best Strat Pickups – Time to Upgrade Your Pups?